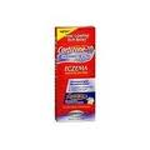 This product claims, in many places all over the cortisone website, that it is best for removing the itch that is associated with eczema and other skin conditions. It comes in a red box with 3.5 oz. of medication which is a little on the small size in terms of how much is normally offered. The website also claims that by removing the itch associated with eczema, that it will get skin back to looking and feeling healthy again. This product is also supposed to function as an adequate moisturizer. Contains vitamins A, C, and E which are known to aid in skin moisturization. Also contains a small amount of hydrocortisone. – Helps get rid of dry, itchy feeling. This product is fantastic at relieving itching but that is all it is good for. Their wording in their claim is chosen carefully. It does get skin back to looking and feeling healthy, but that’s all it does. It may look healthy, and it may not itch, but just because it doesn’t itch doesn’t mean that the eczema is going away. The way eczema works is itching usually results in scratching which can cause the skin to look damaged. By relieving the itching, there may not be any scratching, but the skin will likely continue to look damaged and red underneath despite a lack of flaking, and the redness is always underneath waiting to flare up. There are better medications for eczema out there rather than this.